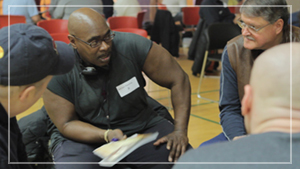 Our mission: To walk beside each man as he strives to fulfill the potential God has given him. 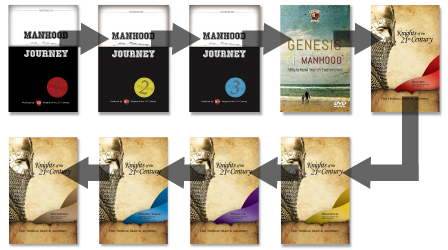 Knights of the 21st Century produces men’s ministry DVD series, books and other resources that churches, prisons, rescue missions, schools and men’s groups are using to motivate men toward integrity and true manhood. 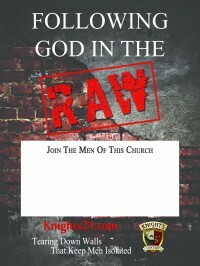 We are dedicated to walking beside each man as he strives to fulfill the potential God has given him. The results are men who hold each other to a higher standard, love and lead their families as Christ would and fight to change the world. 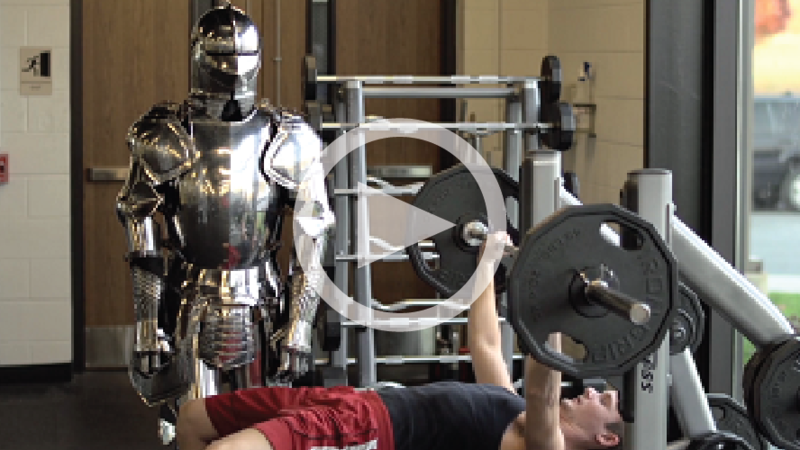 WELL… WHAT DO WE STUDY NEXT? 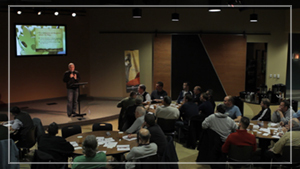 …the question every men’s ministry leader dreads. 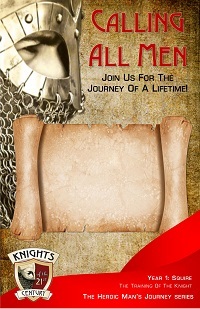 Most men’s video series are 6 to 8 weeks long. THAT’S JUST NOT LONG ENOUGH FOR MEN TO GO DEEP. 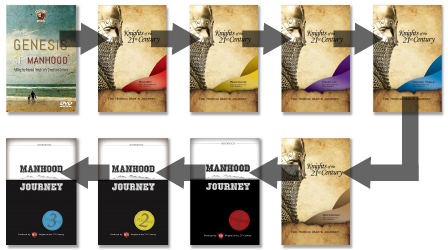 SEVEN YEARS of Biblically-based manhood teaching. 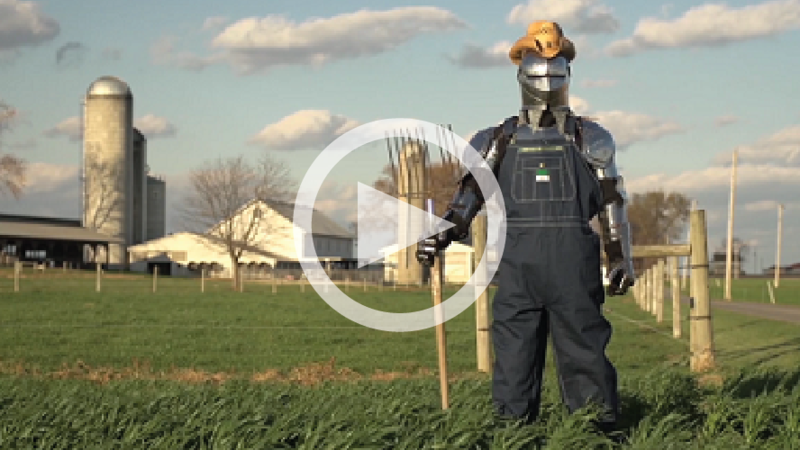 …JUST PENNIES PER MAN PER WEEK. 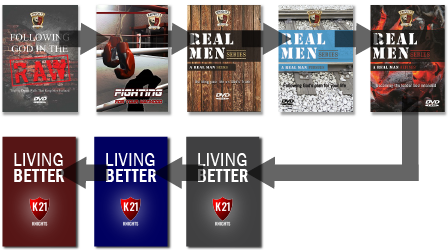 K21 offers tremendous value—our cost per lesson is lower than any other men’s DVD series. 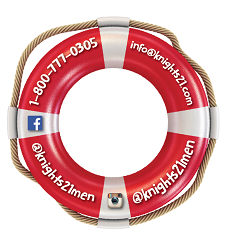 K21 leaders receive FREE promotional videos, brochures and posters to help get the word out. 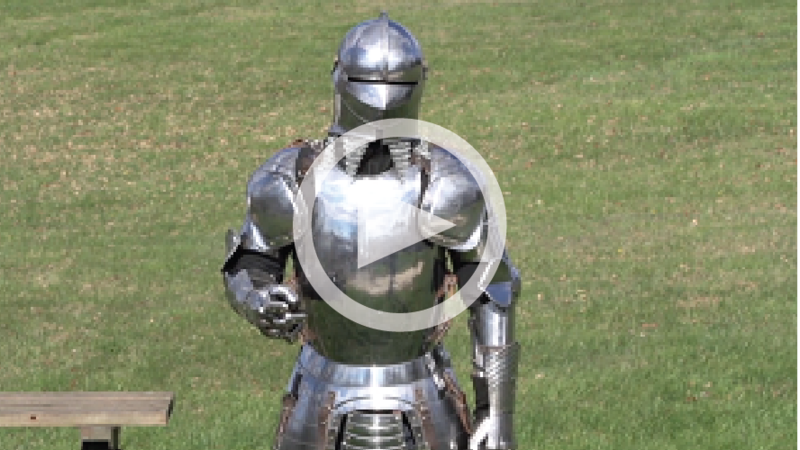 Want to see the whole lesson? Simply click the button below and enter your email address on the following page. 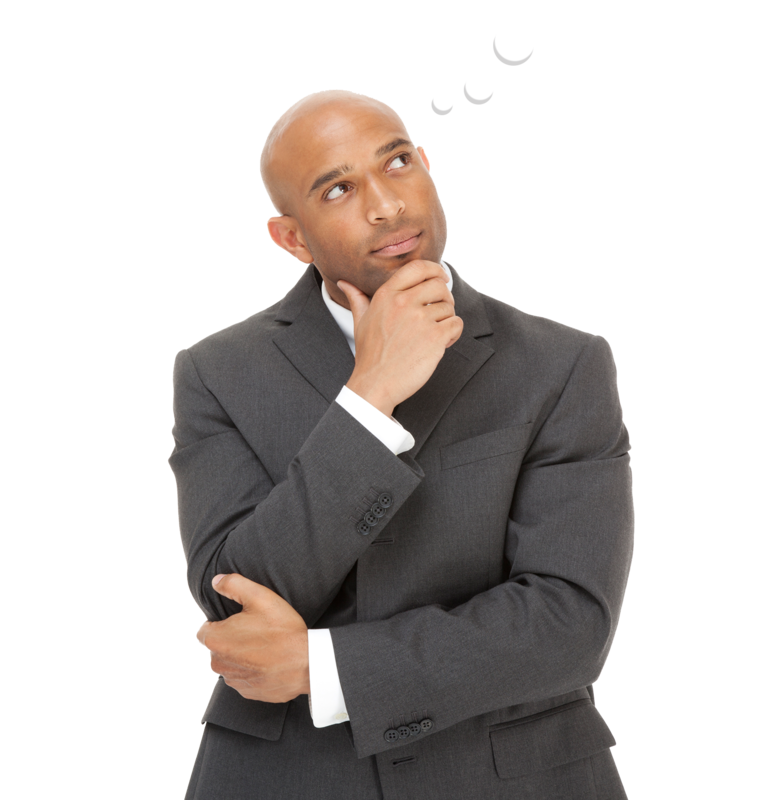 OUR THREE PATHWAYS CAN HELP YOU DECIDE WHAT MATERIAL WILL BENEFIT YOUR GROUP THE MOST. 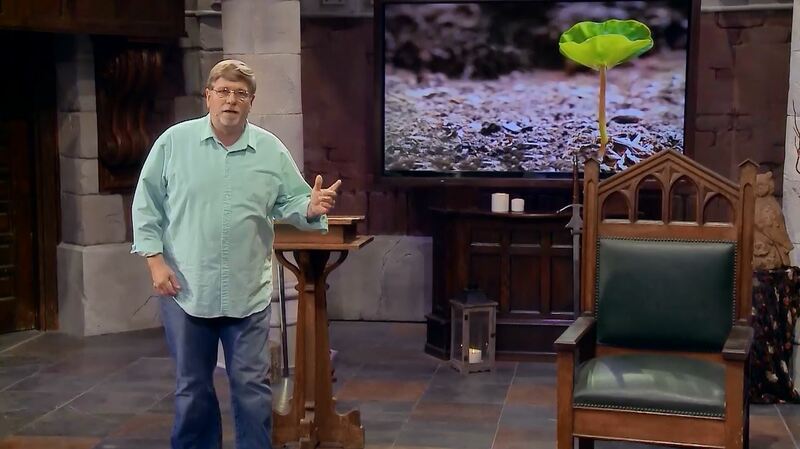 The Bible starts with Genesis—and so does K21. 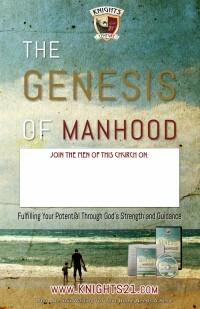 TO ORDER The GENESIS of MANHOOD, OUR 6-WEEK INTRODUCTORY COURSE. Still want some more info? TO CHECK OUT OUR DVD SERIES AND OUR RECOMMENDATIONS FOR YOU.